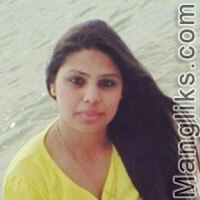 Interest and hobbies: Loves travel, Enjoys reading fiction novels, watching movies. My daughter is an accomplished girl & virtuous enough to be equally best at home and office. she is very loving, caring and talkative. Given her beliefs and value system in life, she is going to be an inspiring, compatible and enviable life companion in each and every eventuality.